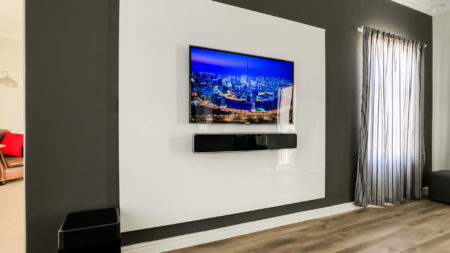 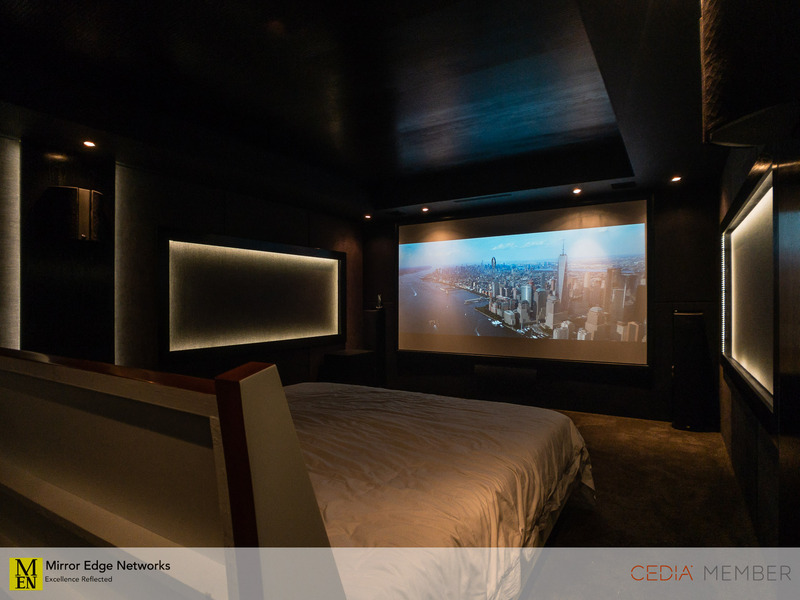 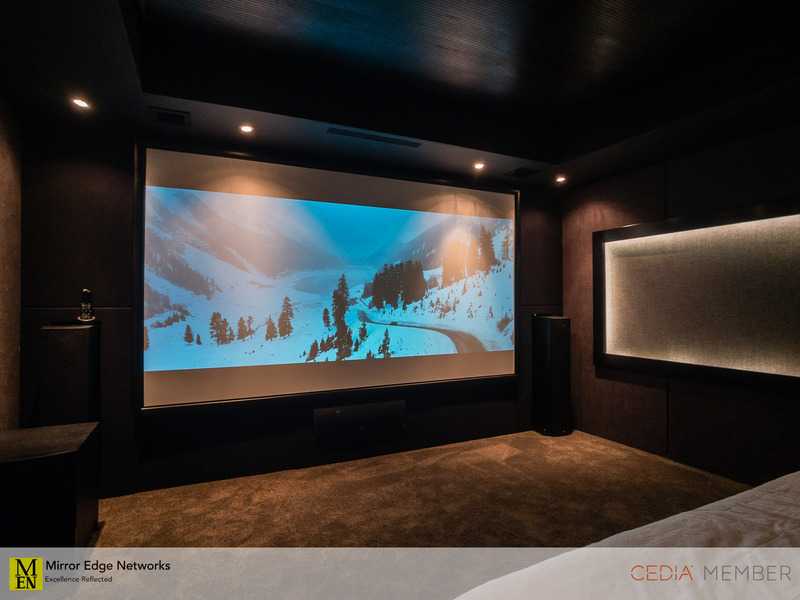 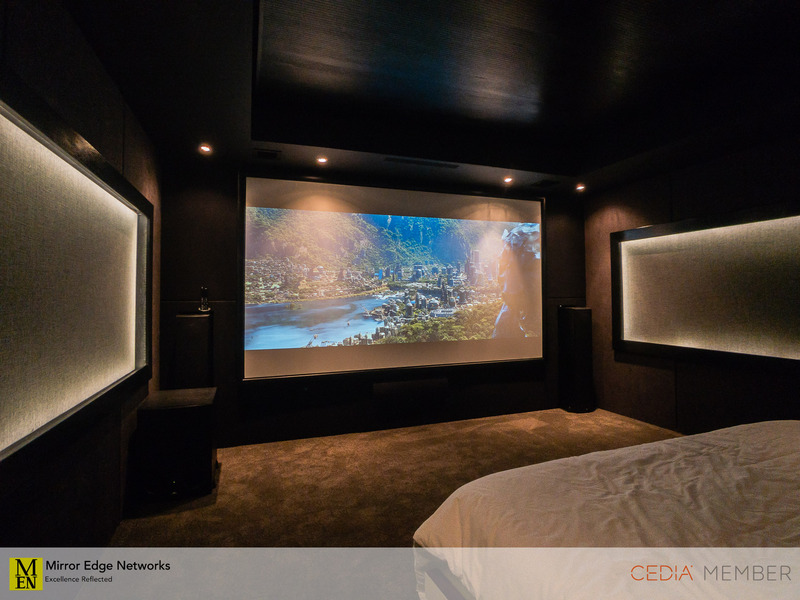 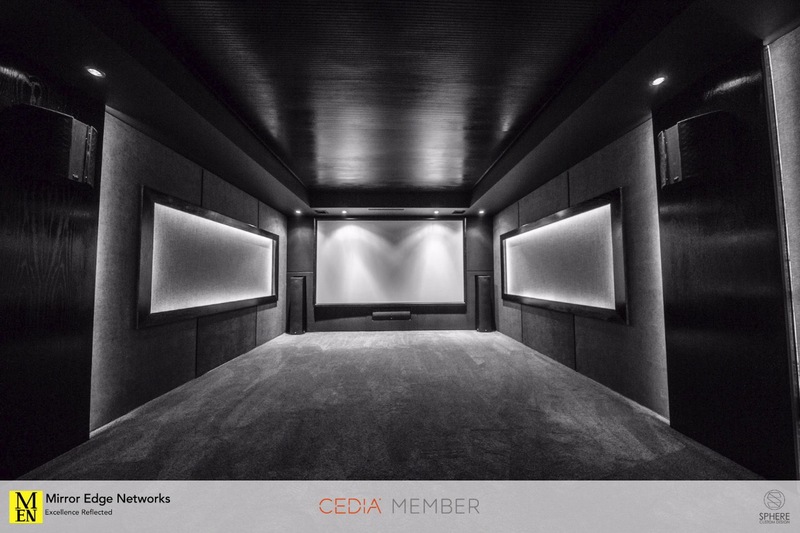 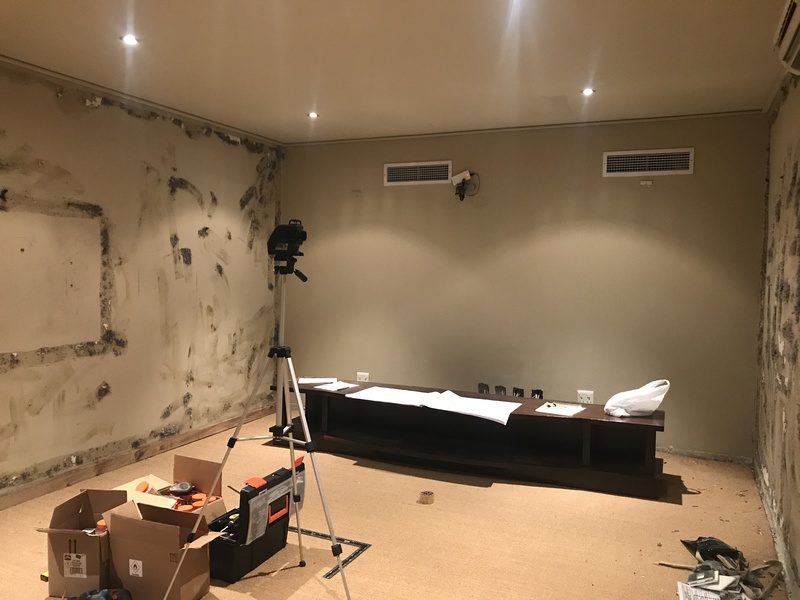 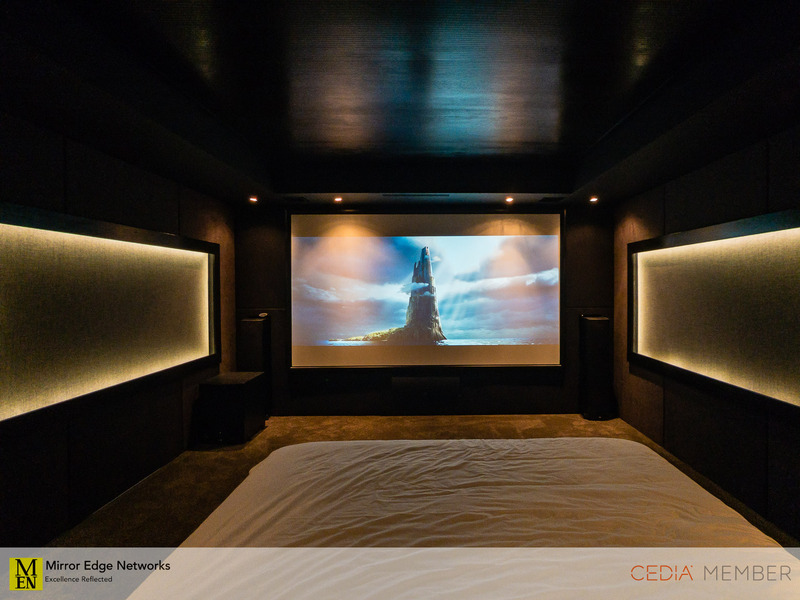 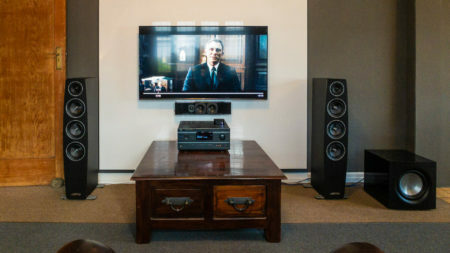 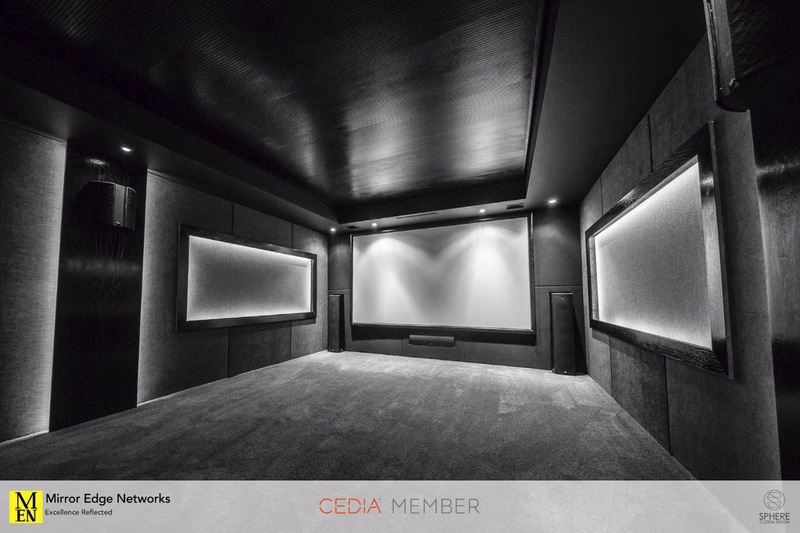 In June 2017 we met with a client to discuss the upgrade of his home cinema in his recently purchased house. 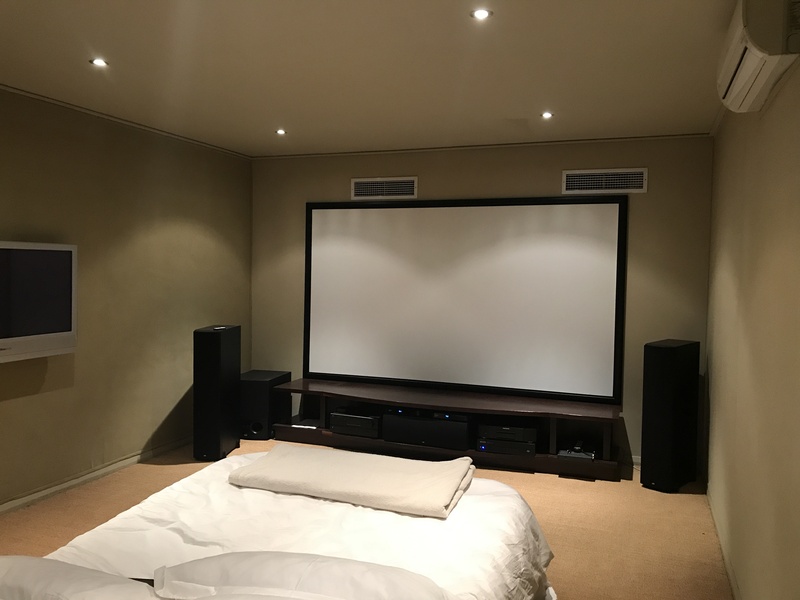 What we were presented with was a room that had some great equipment installed, but very little in terms of cinema room and lighting. 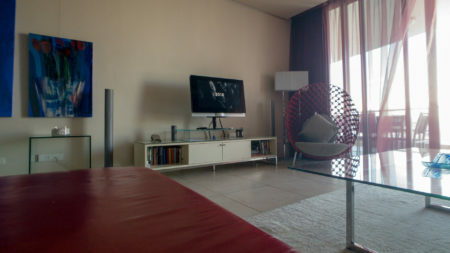 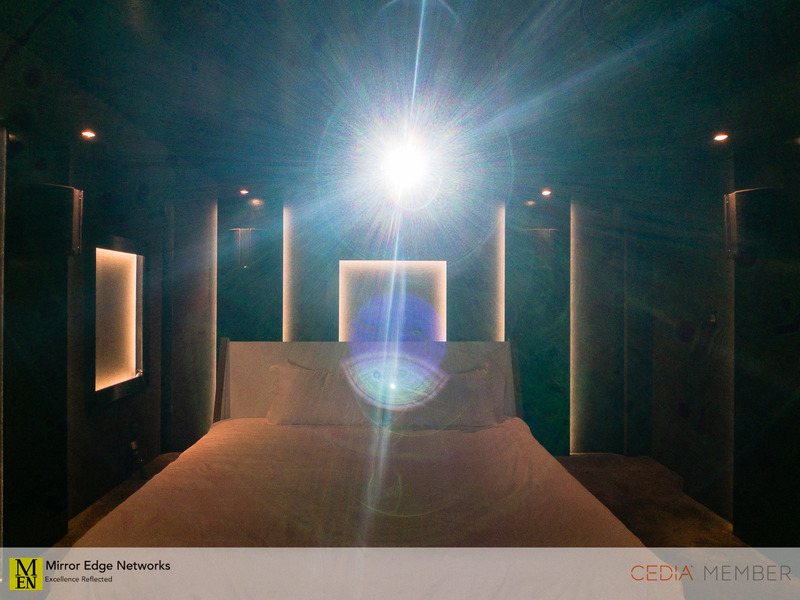 We presented various options to our client in terms of wall constructions and lighting options. 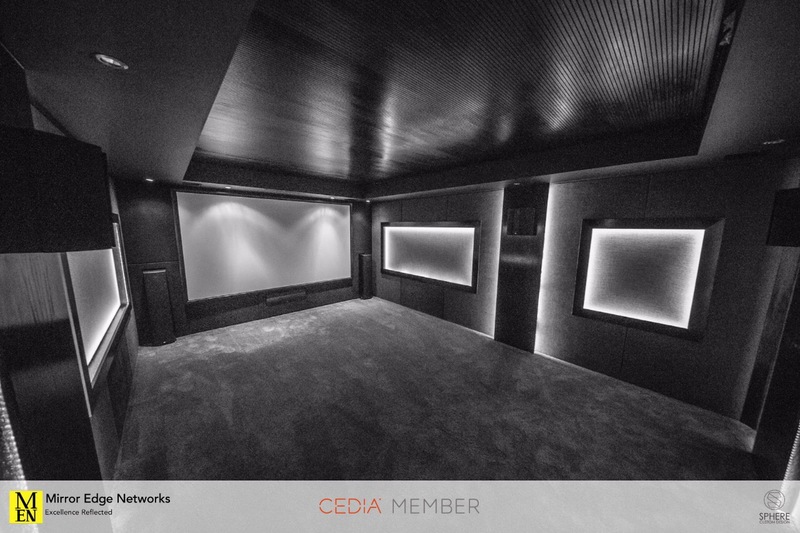 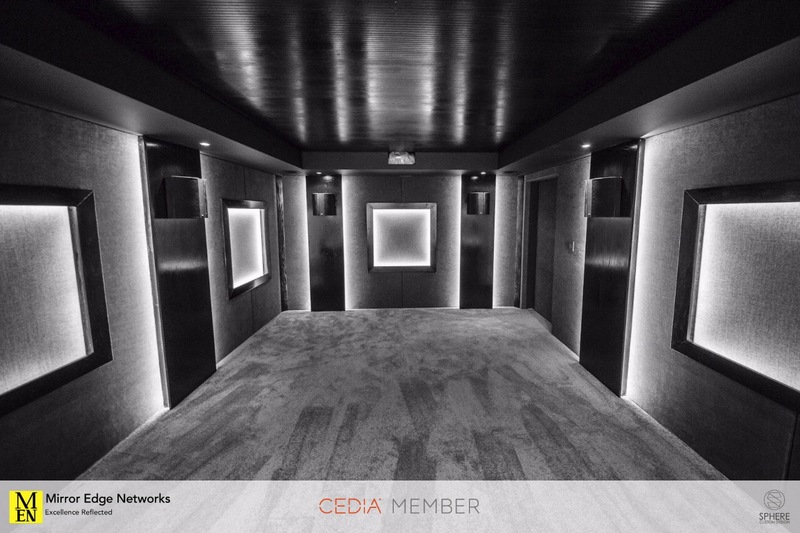 The home cinema design that we agreed upon was to create a width of the room through the use of LED lightboxes on the walls which are framed in timber panels. 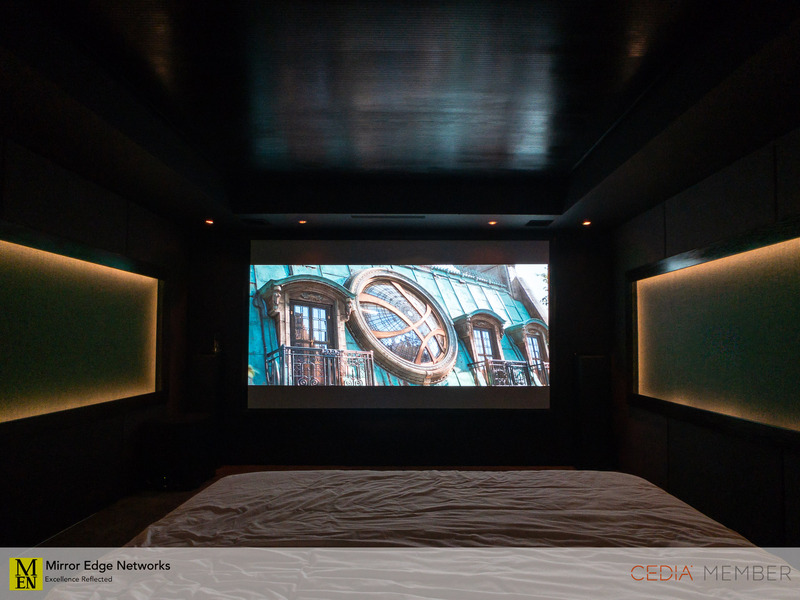 Surrounding the lightboxes are fabric walls which conceal acoustic treatment. 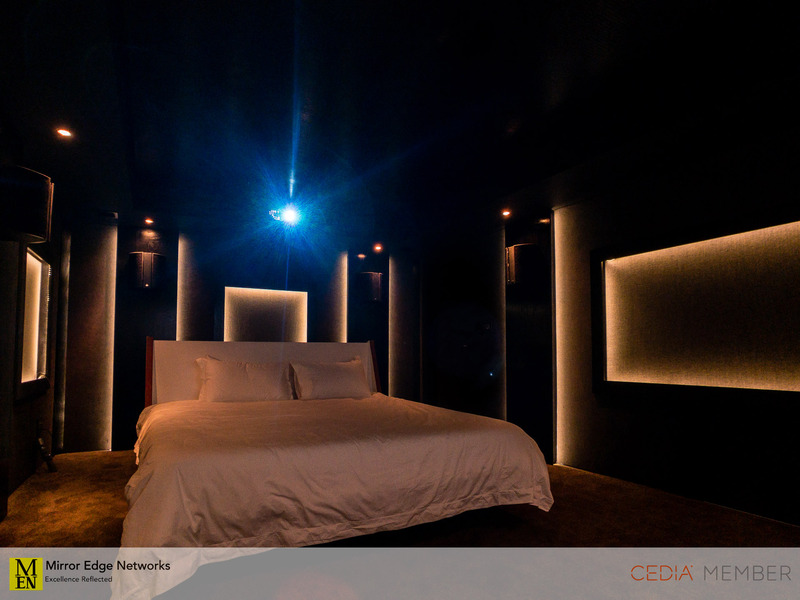 We chose to build timber columns on the side and rear walls to accomodate the surround sound speakers, these are illuminated with downlighters to highlight where the speakers are located. 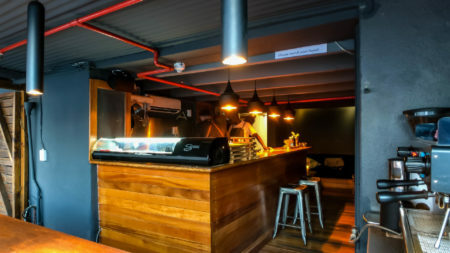 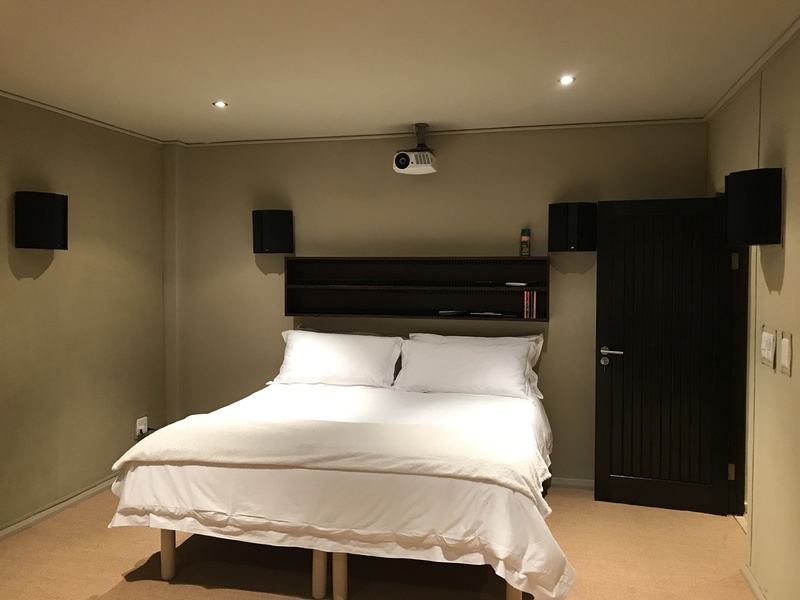 The lighting control is taken care of via a Rako lighting dimmer and control system with a wireless keypad fixed to the switch gang at the entrance to the room, as well as a portable unit for use while seated. 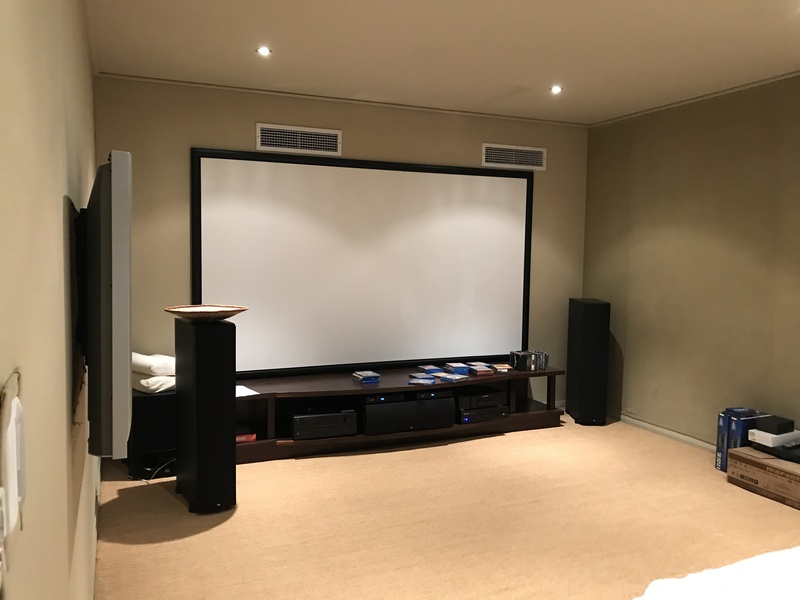 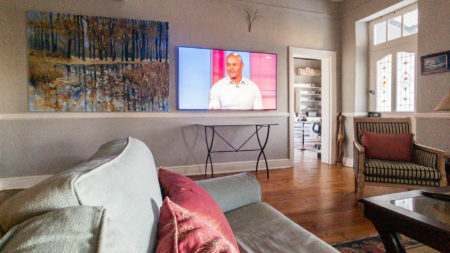 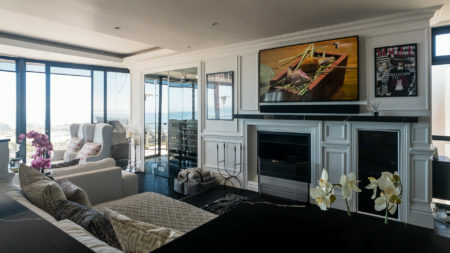 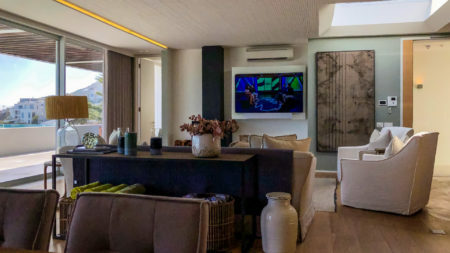 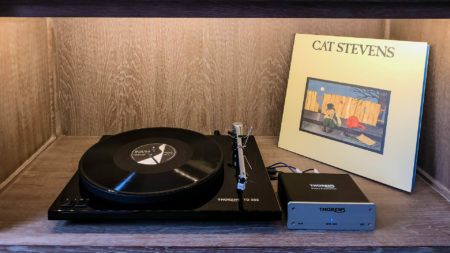 In discussions with the client we chose to use the existing AV equipment that was included in the house when he purchased it, this includes an NAD AVR, PSB speakers and subwoofer, Optoma HD projector and a Marantz bluray dvd player. 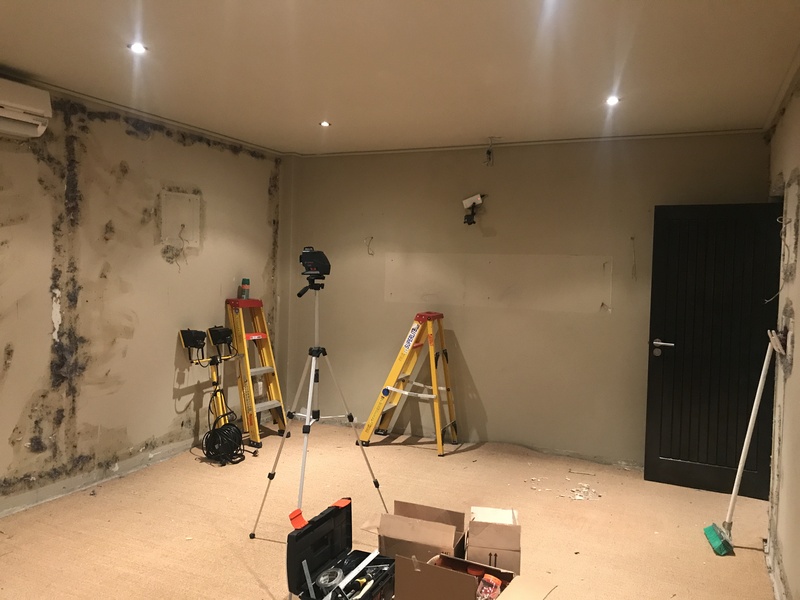 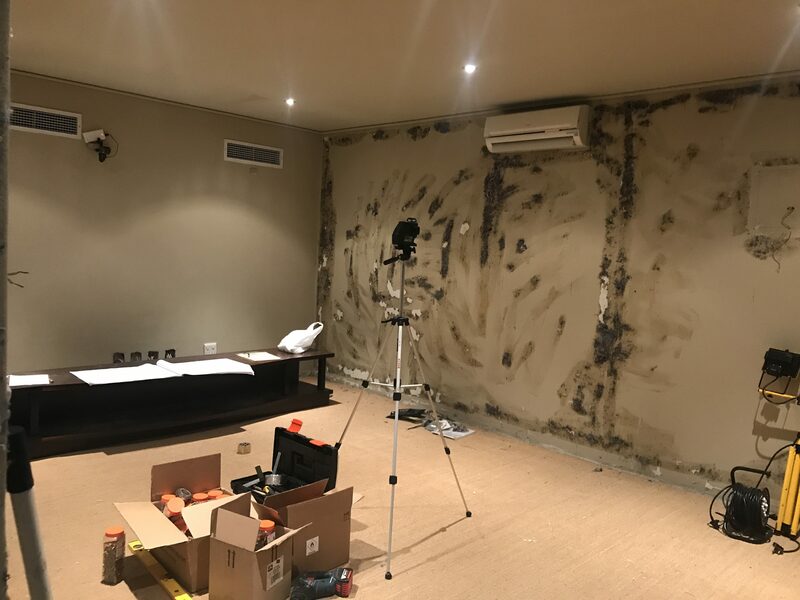 The photo set attached previews the progression form the cinema room that we were presented with, through to the first stage of stripping the room and then finally the completed cinema room. 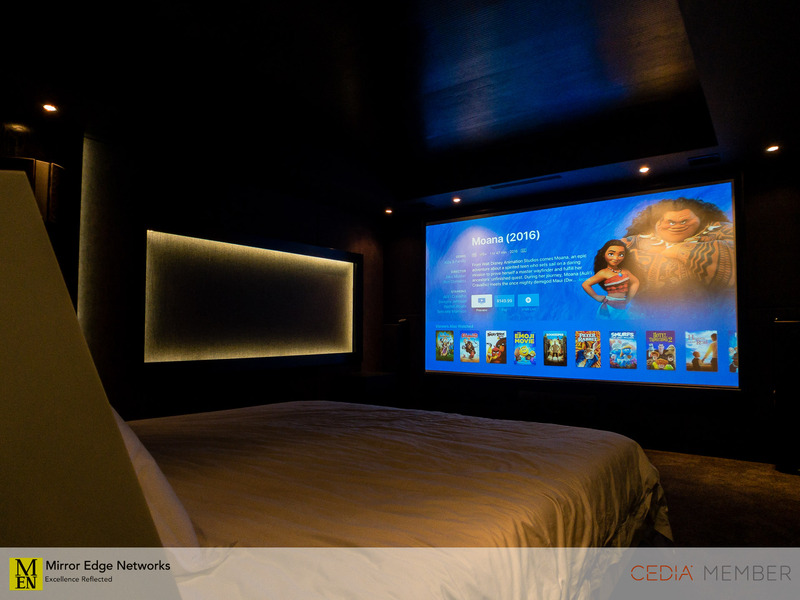 More information about this project will be published on our blog.